Volkswagen is a staple in automobile history,built to provide long-lasting performance and safety. So we understand your love for a well-made German vehicle. 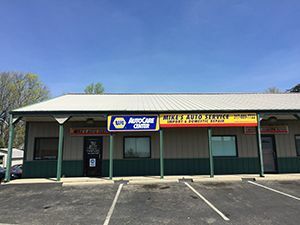 Our ASE certified technicians provide first-class Volkswagen service and repair in Greenwood, IN for much less than what the dealership charges. We use all NAPA® and OEM auto parts to provide service and repair for all Volkswagen model cars and SUV’s. And as a NAPA® authorized auto care center, you can trust that your Volkswagen is in qualified hands. Whether you drive a Volkswagen Jetta, Volkswagen Passat, or a much older model, we retain the technologies and resources necessary to provide expert service the first time around. From factory scheduled car maintenance to major repairs, we have your Volkswagen service needs covered! Our certified mechanics use a concentrated method to inspect and service vehicles to ensure everyone gets the quality service they deserve for their Volkswagens. Our ultimate goal as a family owned and operated auto shop is to get you back on the road safely, at a price you can afford. This is why we have offered high-quality automotive service and repair at economy-based prices for more than 15 years. You can rest assure knowing you are getting proficient Volkswagen repair at the fairest price in town when you choose Mike’s Auto Service. Call us today at 317-889-7722 to request an estimate, or to make an appointment.